Colorado Democrats lost a major figure the other day. Paul Sandoval, a one-time Colorado state senator, became a powerful but informal leader of Denver Democrats over the course of his life. I had a chance to speak with him in 2005, and it was a great interview. 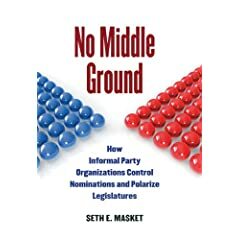 It was one of the first confirmatory pieces of evidence I'd collected suggesting that the Informal Party Organization model I used to describe California politics transported well to other states. Here was a guy who made his living running a tamale shop but managed to become highly influential in city and state politics through his control of the resources needed to win primary elections. 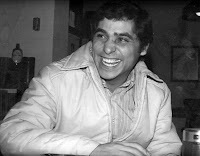 As one story has it, Sandoval sat in the back of his La Casita restaurant with the Salazar brothers in the 1990s and determined which one of them would run for which office and when, charting out a career that ultimately led to Ken in the U.S. Senate while his brother John served in the U.S. House. It's hard to know just what sort of title to give such a man. Yes, he was a restauranteur and a former state senator, but his power, his energy, and his legacy were devoted to building and managing a Democratic coalition in Denver and Colorado politics, even though that doesn't appear on a business card. I suppose "godfather" or "boss" are appropriate, if perhaps unnecessarily pejorative. I'll stick with "leader" for now.